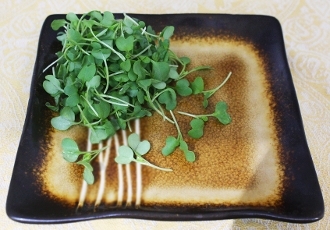 Bright green heart shaped leaves with remarkably spicy flavor that will clear your sinuses! A whole new form of Wasabi. Fantastic addition to sushi and other Japanese dishes.